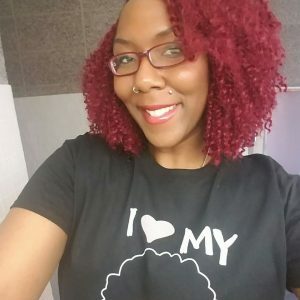 Jenn is a queer Black feminist who is unapologetic about her love for and commitment to Black people. She is also probably taller than you. She holds a Bachelor’s in Industrial Engineering and two master’s degrees in Political Science while working toward her PhD. She likes math a lot and at 17, “splurged” on a TI-89 calculator. Jenn is obsessed with cheese and salami cuz she thinks she’s bourgie. And she doesn’t drink coffee because it tastes like empty promises and hope lost. But she’ll take down a hot chocolate though. Jenn pens essays about the intersections of blackness, gender, and popular culture. She is a child of Oakland, California and will always have the Bay Area running through her veins. To learn more about Jenn’s work, visit her website at JennMJackson.com. You can also find her on Twitter at @JennMJack and Instagram at @JennMJack.